These tutorials will be held at the Indian Institute of Technology Delhi campus on Sunday October 28th 2018, i.e., the day before MobiCom. These half-day tutorials will be hands-on, providing exposure to emerging wireless platforms and technologies. This tutorial provides students with a basic understanding of the challenges involved in designing RF-powered RF-connected integrated circuits (ICs) with on-chip antennas (OCAs). The tutorial begins by discussing the potential cost and performance advantages of creating ICs with OCAs. The design of ICs in which the antenna and conventional circuitry are all fabricated on the same substrate offers advantages in terms of size, weight and cost over conventional RFID/sensor systems in which an IC is assembled onto an antenna substrate; however, it is challenging because the size of the antenna is limited by the die size and its proximity to a resistive ground plane (the IC substrate) both decrease the RF energy that can be harvested to operate the on-chip circuitry. In this Tutorial, we will apply simplifying approximations in order to develop basic equations relating the size and geometry of the antennas to the ability of the OCA-IC to harvest ambient RF energy; and, we will validate those equations with electromagnetic field simulations. The tutorial will also examine the challenging issue of matching the antenna to the on-chip electronics in a way that maximizes the power that can be extracted from an external RF signal. Anyone interested understanding the fundamental limits behind transferring RF energy into small on-chip antennas for use in complete system-on-chip (SOC) remotely powered devices could attend the tutorial. The Tutorial will assume some basic knowledge of electromagnetic waves, but only at an undergraduate level. Electronic circuit design issues will be discussed, but only at a relatively high level. A discussion of interesting biomedical applications including secure pill id. Dr. Larry Richard (Rick) Carley is a Professor of Electrical and Computer Engineering at Carnegie Mellon University (CMU). He joined the Electrical and Computer Engineering Department at CMU in Pittsburgh Pennsylvania as an Assistant Professor in 1984, and in March 2001, he became the STMicroelectronics Professor of Engineering at CMU. 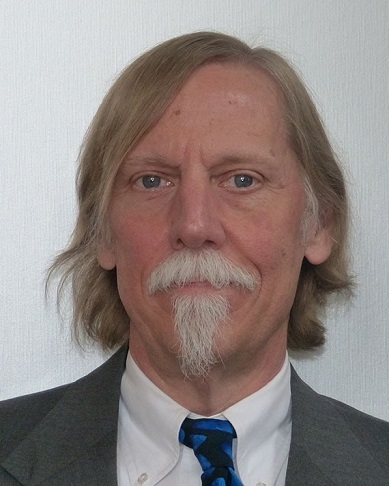 Dr. Rick Carley’s research interests include theory and algorithms for Computer Aided Design (CAD) of analog and RF integrated circuits; theory and algorithms for analysis of Social Networks; and the design, analysis and fabrication of novel micro-electro-mechanical and nano-electro-mechanical devices. For the past several years, Dr. Rick Carley has studied the design of efficient RF energy harvesting devices for single-chip RFID applications. Dr. Rick Carley received an S.B. in 1976, an M.S. in 1978, and a Ph.D. in 1984, all from the Massachusetts Institute of Technology. Dr. Rick Carley has been granted 24 patents, authored or co-authored over 200 technical papers, and authored or co-authored over 20 books and/or book chapters. Dr. Rick Carley has served on various conference program committees (e.g., CICC, ISLPED, and TMRC), has been Associate Editor of IEEE Transactions on Circuits and Systems from 1993-1996, has been and is an ongoing member of the Council on RFID, and was the General Chairman for the RFID-TA 2016 Conference in Shunde, China. More recently, he was on the Technical Program Committee for the 1st International Flexible Electronics Conference 2018 held in Ottawa, Canada. He is currently a Distinguished Lecturer for the IEEE Council on RFID. Dr. Rick Carley is an IEEE Fellow. He has won numerous awards including Best Technical Paper Awards at both the 1987 and the 2002 Design Automation Conference (DAC), a “Most Influential Paper” award from DAC, and the “Best Panel Session” award at ISSCC in 1993. The aim of this tutorial is to give the audience an overview of the landscape of the future generation of mobile networks, namely 5G. Contrary to popular view, 5G is not expected to be anchored on a single disruptive technology but rather supported by an amalgamation of multiple technologies. In essence, it is an evolution of several key technical advancements, whose synergy is expected to revolutionize the heterogeneity of use cases that can be “simultaneously” enabled by a single network. Such use cases range from throughput-focused mobile broadband (Gigabit peak rates) to latency/reliability-focused mission critical (e.g. augmented/virtual reality, autonomous driving) and density-focused massive connection (IoT) services. 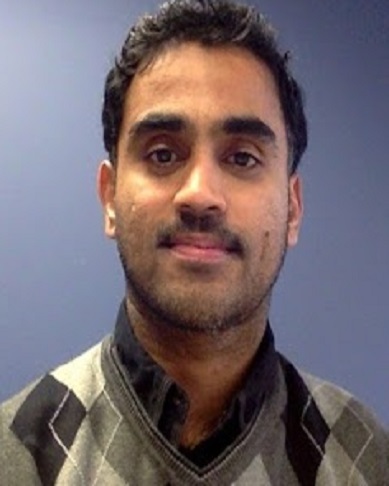 Dr. Karthikeyan (Karthik) Sundaresan is a senior researcher in the mobile communications and networking research department at NEC Labs America. His research interests are broadly in wireless networking and mobile computing, and span both algorithm design as well as system prototyping. He is the recipient of ACM Sigmobile’s Rockstar award (2016) for early career contributions to the field of mobile computing and wireless networking, as well as several best paper awards at prestigious ACM and IEEE conferences. He holds over thirty patents and received a business contribution award from NEC for the technology commercialization of an LTE small-cell interference management technology. He has participated in various organization roles for IEEE and ACM conferences, and served as the PC co-chair for ACM MobiCom’16. He is a senior member of IEEE and currently serves as an associate editor for IEEE Transactions on Mobile Computing. This half-day tutorial will explore edge computing through hands-on development activities using a physical edge computing platform. With the recent trends in the networking ecosystem—the rise of IoT devices, high bandwidth wireless, and powerful, energy-efficient, and inexpensive computation—edge computing is a promising technology for highly interactive and immersive environments. However, there are no widely adopted or standardized platforms for using edge computing. This tutorial aims to promote awareness of the possibilities of edge computing in general and introduce attendees to the tools that they can use to begin exploring this space. The tutorial's activities will give attendees hands-on experience with the ParaDrop edge computing platform developed at the University of Wisconsin-Madison. We hope to impart working knowledge about edge computing and our vision for its future. Recent developments in home wireless networks such as the proliferation of connected devices (e.g. Internet-of-Things) and gigabit wireless (e.g. 802.11ac) create an environment where edge computing can truly enhance applications. The availability of low latency and high bandwidth at the network edge but not necessarily end-to-end to the cloud, can enable interesting new applications involving video (e.g. augmented reality), low latency sensor-actuator coordination, and other public safety or educational applications. However, before such applications emerge, there needs to be a platform available for them. We argue that the availability of widespread platforms and standards for edge computing will unleash a new wave of innovation much like the creation of app markets for mobile devices. The hardware exists, e.g. in the form of millions of always-on Wi-Fi routers in homes and businesses, but it is not very programmable. With our tutorial, we aim to foster awareness of the possibilities that exist with edge computing and promote the advancement of research toward good standards for its realization. We introduce the ParaDrop platform as an open source demonstration of our vision for edge computing. We have been single-mindedly focused on researcher and developer needs in creating the ParaDrop platform. As such, applications that are already written to be run as cloud services can be easily modified to run on the ParaDrop platform in order to benefit from running at the network edge. Applications are not required to be written in a highly specialized language, and applications are able to leverage the rapidly growing software ecosystem surrounding Docker. Our tutorial will give researchers a hands-on experience with the platform and knowledge that they will be able to use beyond the workshop. Audience Expectations and Prerequisites: The tutorial will be useful for researchers, students, and developers alike. Attendees will be expected to bring their own laptops. We will provide a VM image containing the packages and tools necessary for development. Our development tools are open source and available on Github (https://github.com/ParadropLabs/Paradrop). We will also provide hardware that runs the ParaDrop platform for attendees to see how their code interacts with physical devices. We will release instructional materials prior to the tutorial and distribute printed copies at the venue so that attendees can work through the hands-on activities at their own pace. Dr. Suman Banerjee is a Professor in CS at UW-Madison where he is the founding director of the WiNGS laboratory, focusing on research in wireless and mobile networking systems, with broader interests in networking and distributed systems. He received his undergraduate degree from IIT Kanpur, and MS and PhD degrees from the University of Maryland. He is the inaugural recipient of the ACM SIGMOBILE Rockstar award and a recipient of the NSF Career Award. 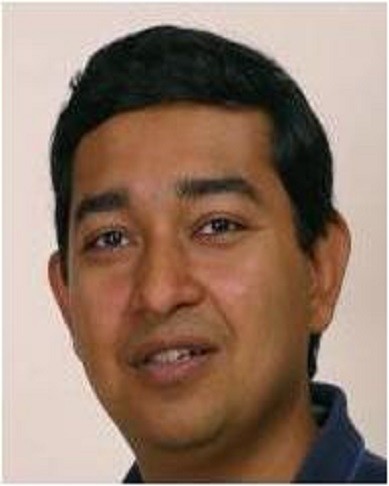 He is a recipient of multiple award papers at various conferences, such as ACM MobiCom, ACM CoNEXT, and IEEE Dyspan. Network analytics are widely used in many fields. Increasingly though, the networks of interest are high dimensional. Rather than just focusing on the traditional who is interaction with whom networks, modern network analysis examines the who, what, where, when and why ecology of relations. For example, studies of organizations might look at the social network within the organization as well as the task assignment and knowledge network. Studies using Twitter frequently look at the mentions network at the same time as the hashtag network. Making network science actionable typically involves answering questions about where the network is concentrated or how the network varies over time. This tutorial will cover the basics of Network analytics and demonstrate the use of ORA to support social media analytics using high dimensional network analytics and visualization for social media networks, semantic networks, geo-spatial networks, and dynamic networks. It will cover the basics of visualizing and analyzing time varying networks and spatially positioned networks. ORA is a powerful network analysis and visualization tool (Carley, 2017). ORA supports the assessment of standard social network data, organizational network data, high-dimensional network data, meta-network data, geo-spatial network data, and dynamic network data. Those who are interested in assessing social media data, networks derived from texts, groups, organizations or community interaction, or networks with a geo-spatial or dynamic aspect, should attend this workshop. The material and its delivery is suitable for researchers and practitioners, alike. This is designed to be a non-technical workshop, however, by its very nature, the material will involve some mathematics, although this will be minimized as the delivery is driven towards forming an understanding of the concepts, not mastery of the details. Dr. Kathleen M. Carley is a Professor of Computer Science in the Institute for Software Research, IEEE Fellow, and Director of the Center for Computational Analysis of Social and Organizational Systems at Carnegie Mellon University. She joined Carnegie Mellon in 1984 as Assistant Professor Sociology and Information Systems. 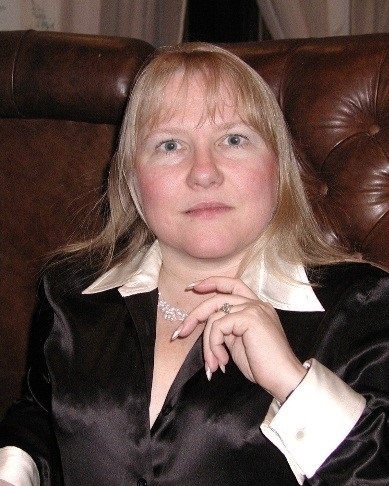 In 1990 she became Associate Professor of Sociology and Organizations, in 1998 Professor of Sociology, Organizations, and Information Technology, and in 2002, attained her current role as Professor of Computation, Organization, and Society. She is also the CEO of Carley Technologies Inc. aka Netanomics. Dr. Carley received SB degrees in Economics and in Political Science from M.I.T., and a PhD degree in Sociology from Harvard University. Dr. Carley’s research combines cognitive science, sociology, and computer science to address complex social and organizational issues. Her most notable research contribution was the establishment of Dynamic Network Analysis (DNA) – and the associated theory and methodology for examining large high‐dimensional time variant networks. Dr. Carley is an IEEE Fellow. In 2018 she received the USGA Academic Award at GEOINT 2018 for her work on geo‐spatially enabled dynamic network analytics. She is the recipient of the Allen Newell award for research excellence. She has served as President of the North American Association for Computational and Organizational Simulation (2003‐2004) and of the Mathematical Sociology Section of the American Sociological Association (1999‐2000). She received the Lifetime Achievement Award from the Sociology and Computers Section of the ASA (2001). In 2011 she received the Simmel Award for advances in the area of social networks from INSNA and became a senior member of the IEEE. She has served as a Task Force Member of the Defense Science Board and of Geographic Information Science Panel of the Strategic Command. She has served on multiple National Research Council panels including ones on the military, big data, geo‐spatial analytics, and the decadel survey for the social sciences and was a member of the DHS‐HSSTAC.